Constructed from strong 275#/ECT-44 singlewall kraft corrugated. Holds 1 - 1 quart container. 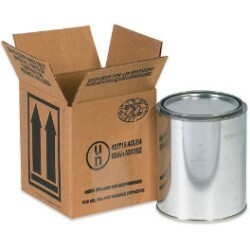 Use these containers to ship your own cans. 'This side up'' arrows are printed on 2 sides of the carton.